Thanks to the Internet, never before has procrastination been so ready an option for people in so many different walks of life, even if those of us who work at a computer for a living—writers especially—are most vulnerable. Over the past couple of decades academia has begun to take up procrastination as a worthy subject for research, with studies, analyses, and even a book of philosophical essays published during this time. We tend to think of procrastination as a very modern phenomenon, and one that has come into its own in the age of html. In some ways, it is a modern phenomenon. But procrastination was also an ancient issue, likely having unfolded with the emergence of a division of labor in which failing to complete a job no longer spelled immediate doom, and with the invention of diversions with which to enact the procrastination—village gossip, say, or a board game, the earliest known of which was played around 3500BC. It’s reasonable to posit that the first bout of procrastination arrived the same day as the first assigned task. Today, we understand procrastination not only as the putting off of something until tomorrow, but also undertaking other, less important tasks as a means of putting off the more important ones. 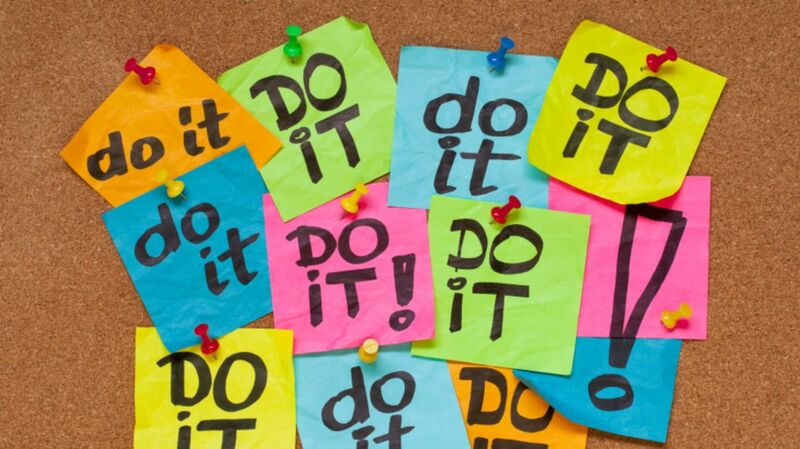 Procrastination rarely involves doing nothing, but it does involve doing the wrong thing for that moment. It is very different from working on something slowly, or over a long period of time. This explains why someone like Ralph Ellison, who worked on his second novel for several excruciating decades, leaving it unfinished at his death, does not necessarily qualify as a procrastinator—he was working all along on the thing he set out to work on, he just couldn’t get it right. We don’t have much evidence from ancient time of how people procrastinated—personal confession remained a couple millennia away from becoming the world’s de facto writing genre—but we know that it was happening, and not in isolated cases. More detailed accounts of procrastination—its methods and methods of prevention—would emerge around the time of the Renaissance, as we’ll see in this timeline of procrastination through the ages. Or, as it happened, with begging his brother for more help. In a series of speeches known as the Philippics and meant to convince his allies to take up arms against his rival Mark Antony, the statesman Cicero warned emphatically against the harms of delay, calling procrastination “detestable in the conduct of most affairs,” but even more so when war is so clearly called for, as he believed it was here. Nonetheless, members of the Senate procrastinated out of fear for the consequences, even if they did think it was the right thing to do. In The Canterbury Tales, Chaucer has the appropriately named Dame Prudence advising Melibee and his friends, “…the goodness you may do this day, do it; and delay it not until the morrow.” Great advice, but Chaucer himself may not have heeded it—Of more than 100 Canterbury Tales he’d planned, only 24 were completed upon his death. Leonardo completed fewer than 20 of them in his lifetime, spending 16 years on the Mona Lisa alone, and not necessarily because the Mona Lisa was a particularly difficult painting for him. When he should have been painting, Leonardo often took to doodling in his notebooks instead. In form, his procrastination didn’t look much different from yours or mine. His doodles resulted in notebooks filled with inventions such as the helicopter, a metal-rolling mill, and the wheel-lock musket, plus sophisticated designs for bridges, a moveable dyke for Venice, and highly accurate maps that were sometimes centuries ahead of their time. One man's procrastination is another's groundbreaking body of work. Today follows today, how few todays one has! If he doesn’t do today, when can it be done! How many todays one will have for a hundred years of life, what a pity if there is no action today! If you say just wait until tomorrow, you will have something else for tomorrow. I’m writing the Poem of Today for you, please just working hard from today. I sat yesterday morning employed in deliberating on which, among the various subjects that occurred to my imagination, I should bestow the paper of to-day. After a short effort of meditation by which nothing was determined, I grew every moment more irresolute, my ideas wandered from the first intention, and I rather wished to think, than thought upon any settled subject; till at last I was awakened from this dream of study by a summons from the press; the time was now come for which I had been thus negligently purposing to provide, and, however dubious or sluggish, I was now necessitated to write. The power of a looming deadline—the best antidote to procrastination since at least the 18th century. So although the work he intended to do was never done, Lucien still pursued his main purpose, in the course of that life, in which each morning dawned upon the heels of the previous night’s dissipation. The string of women in Victor Hugo’s life stretches far beyond the confines of this article. Suffice to say that Hugo had a tendency to leave the house in search of female companionship. In order to keep himself indoors to finish The Hunchback of Notre Dame, he took to extreme measures, stripping down naked and having his servant remove his clothes from the room so that he would have no choice but to remain indoors, at which point the distractions fell away and he got down to work. The servant would return with the clothes at a previously agreed-upon hour. Most accounts of Kafka’s procrastination focus on his frequent afternoon naps, but those were part of the plan to actually help him work. When Kafka sat down to write after the household went quiet at night, he often whiled away the hours writing letters instead of fiction—composing over 500 for just his fiancé, Felice Bauer. He completed volumes of correspondence, but of the three novels he started, he didn’t finish any. By the early 20th century, telephones were becoming common in the homes of the affluent, a development that coincided with Woolf’s emergence into adulthood. When she was steeped in the writing of a novel, she was known to blame the bell if things went awry. “Such a good morning’s writing I’d planned, and wasted the cream of my brain on the telephone,” she wrote in her diary in 1920. Hemingway was a master of many things, among them sticking to a strict morning schedule of writing no matter how the previous evening had unfolded. He had an Achilles heel, though: visitors—and he got a lot of them, especially as his legend grew. Hemingway found the prospect of a good conversation hard to resist, but after years of succumbing to the temptation, he developed strategies for keeping the would-be companions away. His favorite was to get on his boat, anchor it “in the lee of some bay,” and get down to work where no one could reach him. Like nearly every other writer alive today, Atwood maintains a complicated relationship with the Internet. She embraces it more than most, with an active Twitter account and fiction published through digital outlets like Byliner and Wattpad. But she knows that the web is a beast that must be tamed: Atwood allows herself only 10 minutes per day on Twitter, and she keeps two computers on two separate desks in her office, one with an internet hookup, one without. You can guess the one on which she gets her writing done.